As the automotive world is getting ready for what is shaping up to be the biggest auto show of the year, BMW is hard at work to finish setting up its impressive stand. Over there the world will see over 10 premieres this week, premieres that will offer us a glimpse into what the Germans have planned for the future. Apart from eco-friendly offerings like the highly expected electric concept that was teased last week we’ll also get to see proper beasts like the upcoming BMW M8 GTE. Starting in 2018, BMW’s plans to focus its racing efforts on the new 8 Series and its M8 range-topper. Alongside the ongoing development of the standard 8 Series, the engineers at BMW M are also working flat out on the M model. 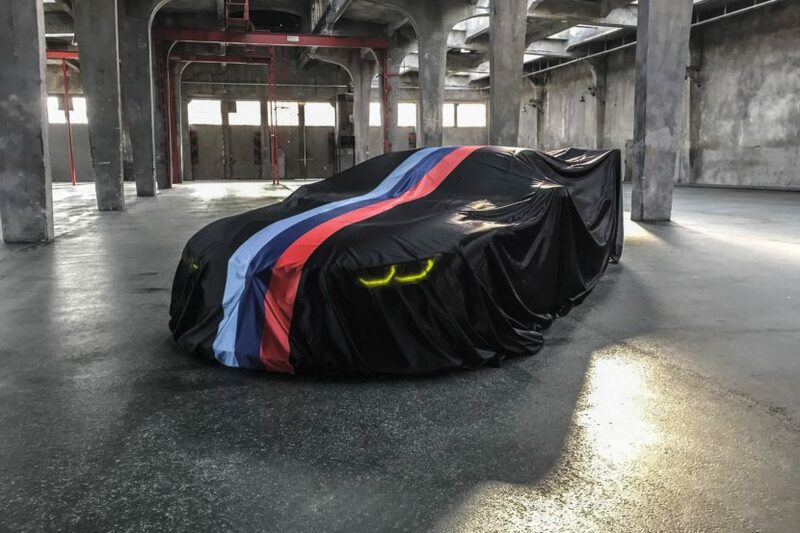 A fully camouflaged, early prototype of the future BMW M8 was already unveiled in a driving presentation as part of the support program for the Nürburgring 24-hour race. Classical M features like larger air intakes, modified brakes and a sports exhaust with four tailpipes hinted at the significantly boosted power and dynamic potential of the car. The M8 GTE race car will be the spearhead of the BMW efforts to return to such iconic races as the Le Mans 24-hours, for example, and will replace the current M6 GTE. “The BMW M8 GTE development program for our Le Mans comeback is in full swing. Developing a new racing car is always exciting, and in the case of the BMW M8 GTE the anticipation is that much greater still. We can’t reveal any pictures yet, but I can promise you that the BMW M8 GTE will look spectacular. We are planning an initial roll-out for the first half of this year and are looking at giving the car its race debut in the Daytona 24 Hours in late January 2018,” said BMW Motorsport Director Jens Marquardt earlier this year about the new model.